LONDON (Special to The Reference) –The Reference has obtained documents that throw light on how Nectar Trust has turned into a main financing center of Qatari terrorism. Nectar Trust was founded as a startup on March 26, 2012 in British capital London. It has been operating for six years and 11 months now. The company has three active managers now, according to the documents. Doha changed Qatar Charity’s name into Nectar Trust almost a year ago. This came hard on the heels of revelations by the member states of the Anti-Terrorism Quartet, namely the United Arab Emirates, Saudi Arabia, Egypt and Bahrain, about the financing offered by the charity to terrorism and terrorist groups since 1992. This financing was cloaked as charity and humanitarian support. 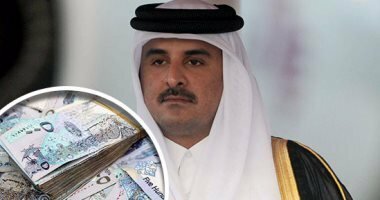 In 2017, Qatar Charity in London called itself Nectar Trust with the aim of maintaining its dealings with international banks and also evading suspicions by these banks. The company received a huge amount of money recently from the Qatari government. It stood behind the construction of a major mosque in Sheffield, a county of South Yorkshire. The mosque is supervised by Muslim Brotherhood leaders in the county. According to the documents obtained by The Reference, the Doha-based Qatar Charity gave Nectar Trust more than £28 million in 2017. Nectar Trust uses this money in the construction of mosques and offering funding to the Muslim Brotherhood, according to the same documents. The company gave one of the branches of the Brotherhood £397,000. The Italian Islamic association, known as UCOLL, had received around half a million pounds from the company as well in 2016. The Endowment Fund Passerelles of France also received more than £8 million from the company in the same period. Nectar Trust also financed the Islamic League of Belgium. The league had previously invited radical Kuwaiti cleric Tareq al-Suwaidan to talk at one of its conferences. Al-Suwaidan is banned from entering both Sweden and Belgium because of his support to violence. He was indicted by an American court in Dallas in 2007 for transferring $12 million to the Palestinian Hamas movement. Nectar Trust’s board of trustees includes Qatari national Youssef Ahmed Hassan al-Hamadi, who lives in the United Kingdom, and Belgacem Kahlalech. Nectar Trust signed a partnership agreement with the British company Mosaic in 2014. The agreement turned Nectar Trust into a major financier of a company program ostensibly aiming to develop the British society and investing the energies of youths in poor British districts. Qatar, according to the documents, pays special attention to the Yemeni community in Britain, in particular, and in Europe, in general. Nectar Trust is also focused on the Muslim Brotherhood and tries to attract its members to it. The company also focuses on poor people in the British society and offers services in the fields of culture and education. It is also active in the economy and offers humanitarian support to the poor. Nectar Trust works to become Qatar’s charity arm in Europe. The company is now active in a number of European countries, including Belgium, Germany, Italy, and France. Some well-known Brotherhood organizations now work under the umbrella of the company. Most striking still, Nectar Trust started recently operating in the United States. It has started constructing a mosque in Tennessee. The mosque is called Memphis Islamic Center. The center is headed by leading Brotherhood figure Yasser al-Qadi. Nectar Trust also sponsored a large number of Brotherhood projects and centers, which is inviting attention to it. This compelled the company to change its predominantly Qatari board. This was particularly true after the company turned out to have hired Saudi preacher Suleiman al-Auda to attack Saudi Arabia.